As Indian Motorcycle looks towards 2017, the brand is continuing its ‘Be Legendary’ campaign. 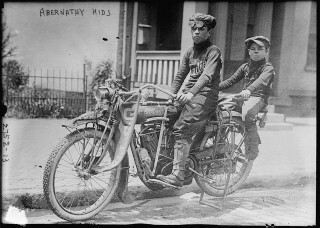 Bud (Louis) and Temple, who aged 14 and 10, bought an Indian Motorcycle with money they earned from riding on horseback adventures across the USA. The brothers’ first horseback adventure was from Oklahoma to New Mexico aged 9 and 5. Their father, a US marshall and friend of Roosevelt, came up with the idea saying they needed to “toughen up”. On July 10, 1909, (eight years after Indian Motorcycle was founded) the brothers Bud and Temple saddled up their horses (called Geronimo and Sam) and set off for Roswell in New Mexico – alone. A year later in 1910, the two young Abernathy kids set out from Oklahoma again, but this time headed for New York where they would meet Roosevelt who was returning from a hunting trip in Africa. This adventure had huge media attention with the entire nation country following the brothers in newspaper reports. When the brothers arrived in New York City on June 11 1910 they were greeted by a crowd of several thousand people (and their father Jack Abernathy). For the return trip back home to Oklahoma, the boys bought a Brush Motor Car and drove home, once again on their own. A further year later, in 1911, they accepted a challenge to ride horses from New York City to San Francisco in under 60 days. The rules stated they couldn’t sleep or eat indoors during the entire journey and there was a $10,000 prize if they succeeded. Sadly, they were two days late. Despite missing out on the $10,000 prize money, the pair had earned a fair sum from their notoriety and they bought an Indian motorcycle. 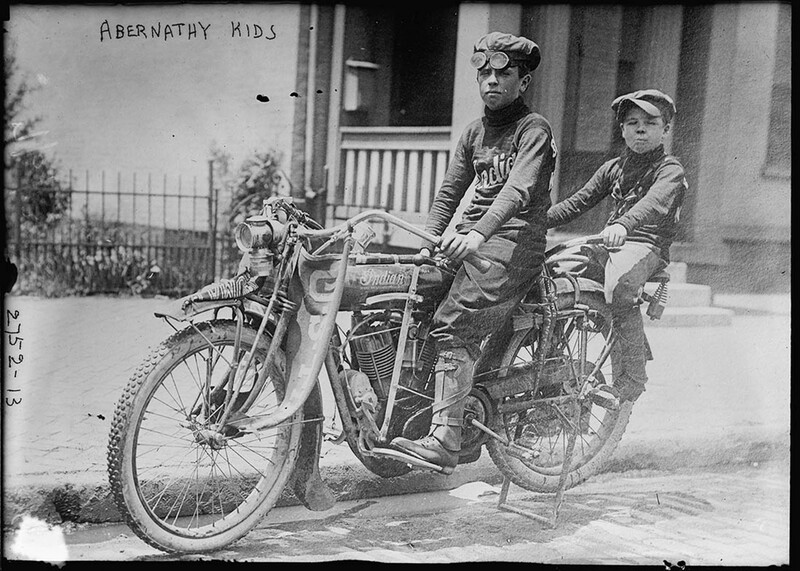 In 1913, they rode it together from Oklahoma to New York (Bud was 14 and Temple 10). Their stepbrother Anton went along with them too. Their ride to New York on the Indian was their last documented adventure. Louis grew up to become a lawyer and practice law in Wichita Falls, Texas. He died in 1979. Temple worked in the oil industry and passed away in 1986.